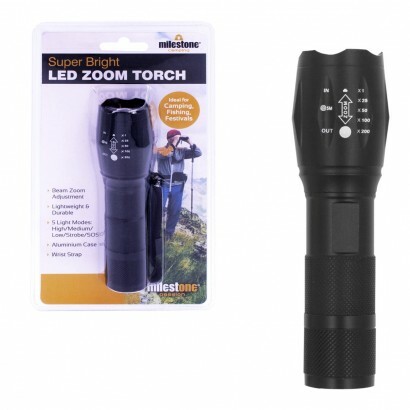 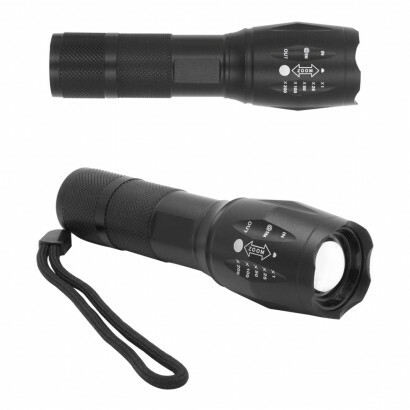 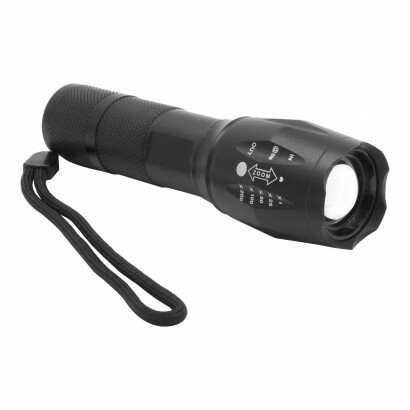 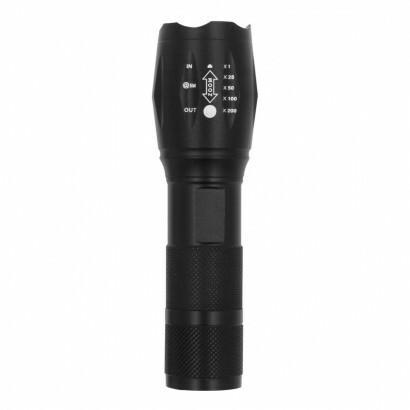 Practical and light weight, this pocket sized torch has five functions and a beam zoom adjustment making it suitable for most situations. 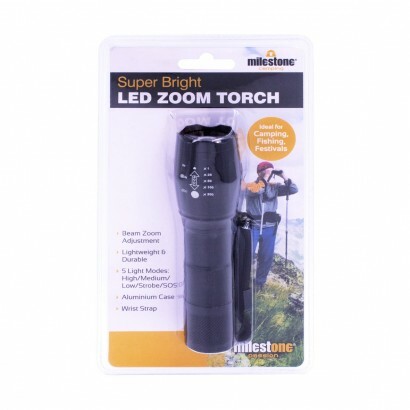 With high, medium and low intensity settings and strobe and SOS functions, this robust aluminium torch is ideal for outdoor activities, or for keeping around your home, garage, shed or caravan for emergency situations. 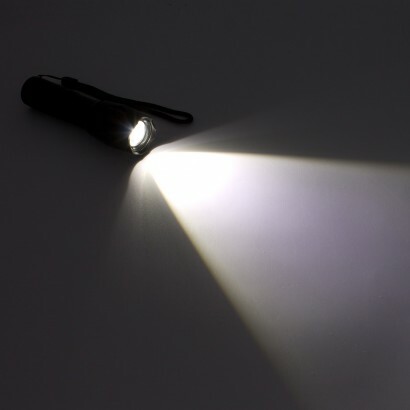 Adjust the beam from spotlight to floodlight by twisting the head of the torch for super bright intense light whenever you need it most.